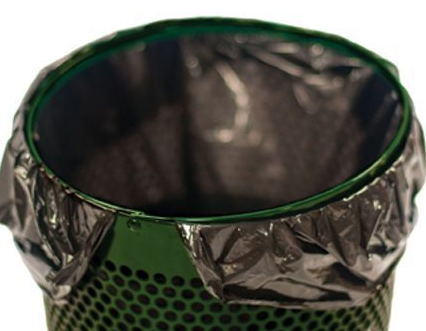 _GT Wulf's aluminum pet waste cans are electro-statically powder coated, built to commercial grade, and will withstand years of service in all settings. 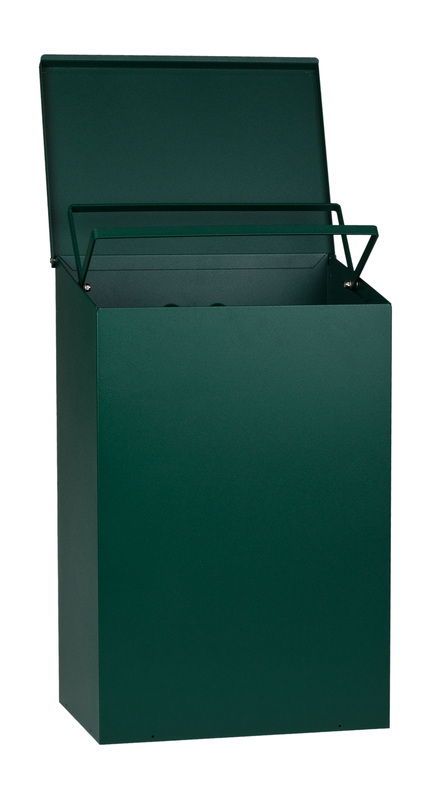 Our trash receptacles are lidded to keep out rain, pests and insects and to keep in any odors. And our cans hold up to 11 gallons of waste volume to reduce service intervals. 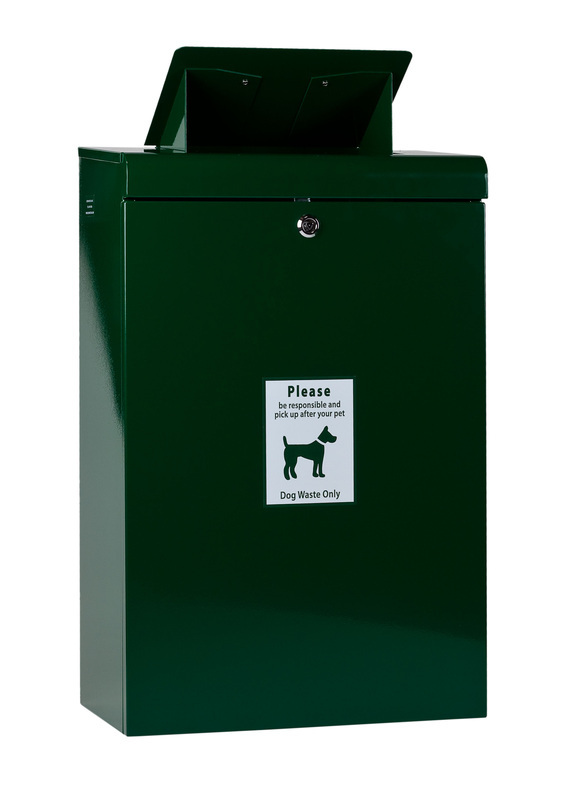 Most importantly, our Square, Round and Gladiator pet waste receptacles have been field proven and perfected through daily use in thousands of locations nationwide. Let GT Wulf help you create a clean, healthy and compliant environment. The Square Waste Can is forged from commercial grade, heavy gauge, powder coated, rust proof aluminum. 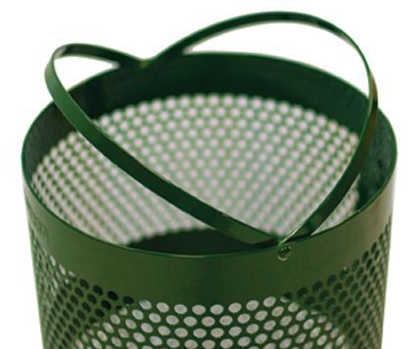 _The round waste can is forged from commercial grade, heavy gauge, powder-coated, rust proof aluminum. Gladiator Waste Can -- Currently unavailable! Please email us at gtwulf@gmail.com if interested in ordering the Gladiator Waste Can to learn when it will be available. _The Gladiator waste can is forged from commercial grade, heavy gauge, rust proof aluminum. 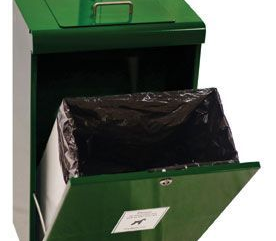 The can has a unique sealed chute system, which allows only small articles to be deposited, restricting its use to pet waste bags. A unique, locking, tilt down front door makes emptying the can a simple, mess-free task. 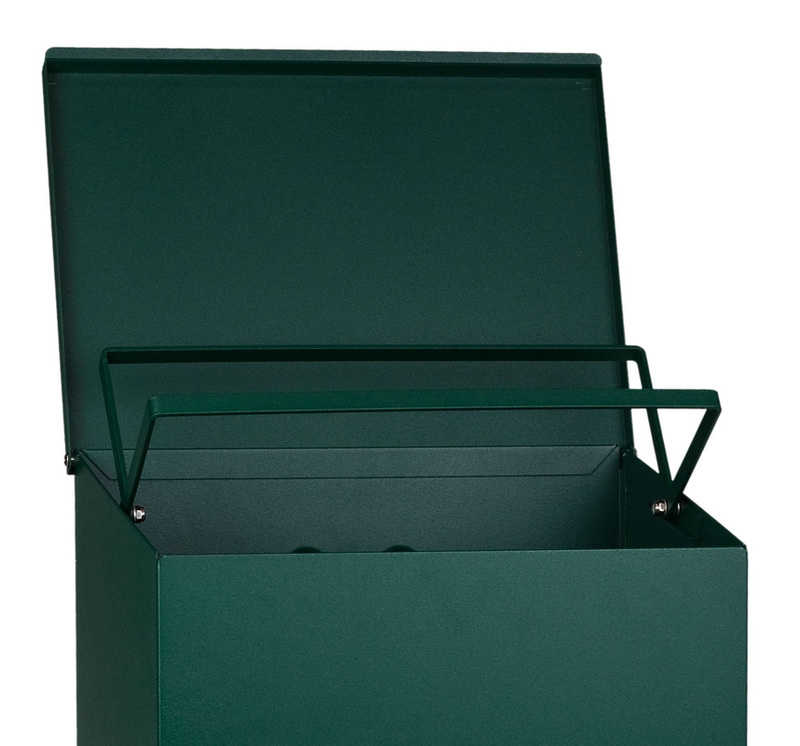 There are no openings in the sides, top or front of the can to attract insects or rodents, allow child access, let odor out or let rain in, unlike 'open-style' stations. Case of 200 Count --- Heavy Duty can liner. 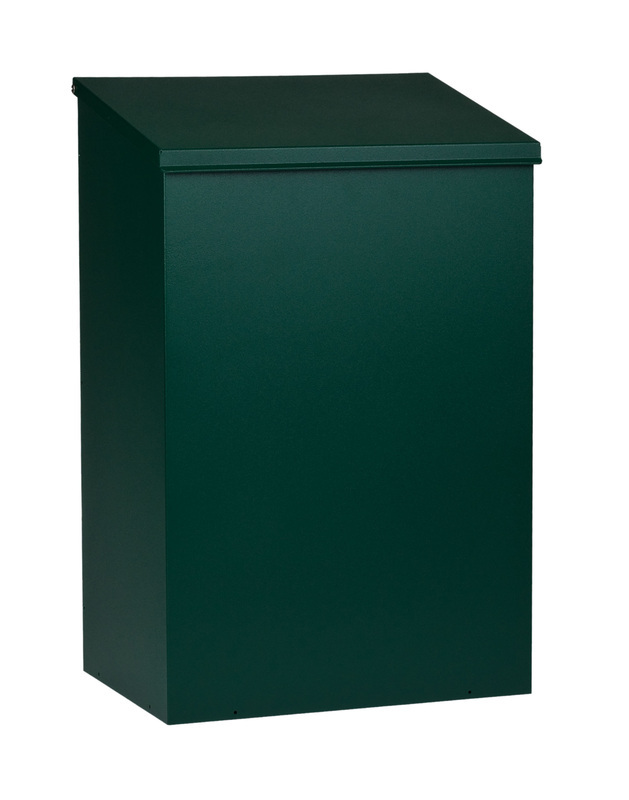 Liners fit the Basic, Sentry, and Gladiator trash cans and most other 10-16 gallon waste cans perfectly. 27.5" wide x 34" long. 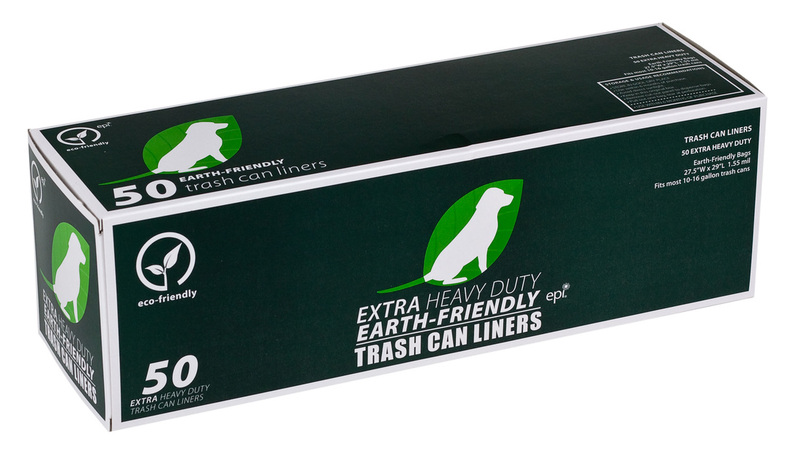 50 liners per roll, 4 boxed rolls per case; equals 200 liners total. Black opaque bags, so you can't see thru! 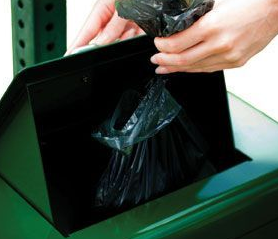 _*California Disclaimer: We do not make any claims regarding our bags in terms of "biodegradable" or "degradable" or "decompostable" or in any way imply that the bags will break down in a landfill to any customer in the State of California. California has a specific ASTM6400 Standard for plastic bags. All bags marked "oxo-biodegradable" do not meet the California ASTM6400 standard.